Learn and grow with us in one of four cities this summer! Join us this summer and put booster rockets on your students' proficiency next year, and make your work more fun and joyful! Schedule a 15-Minute Informational Call with Tina to Learn More! 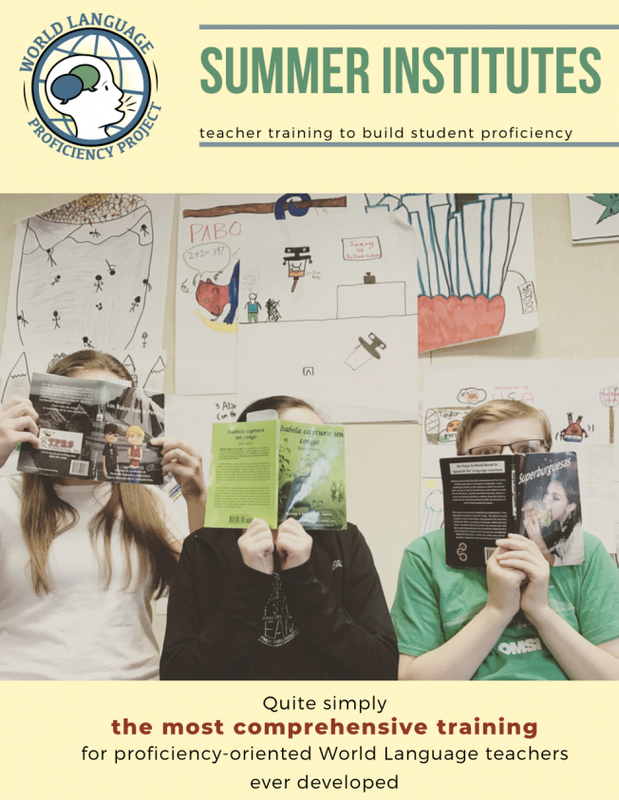 We simply cannot imagine a more comprehensive, thorough grounding in teaching World Languages for proficiency. and LEARN ABOUT THE WORLD & the FASCINATING CULTURES in it! Learn more about our BICS Institutes! Performance and Proficiency Levels now. Yes! I Want to Preview the Chapter on Proficiency and Rubrics! Send me the Chapter on Proficiency and Rubrics! Our Summer Institutes immerse you in proficiency-based communicative language teaching. Spend half your day as a student in a language class, learning Latin, French, Cherokee, or Scots Gaelic and seeing instructional and assessment strategies in action! Spend the other half of your day working hands-on with Tina Hargaden on teacher skills and lesson planning! You will leave with our 200-page Resource Manual filled with your notes, resources, rubrics, and the nuts and bolts you need to make next year the best ever! We have been teaching languages using a proficiency-forward, communicative approach for a long time and we have never seen a program like this. We had to build it because it did not exist! and maximizes your students' language acquisition! for proficiency-oriented World Language teachers ever developed!